As anyone who has worked on a TMF knows too well, it’s hard to get a TMF right – and all too easy to get it wrong. So how can you help ensure your TMF measures up to the often fluid expectations of inspectors? Phlexglobal’s TMF Quality Review (sometimes called a “file review”) provides a line-by-line evaluation of your TMF, giving you detailed insight into its quality, completeness, and timeliness. Much more than just a series of TMF data reports, the customer-proven review is conducted by one of our expert TMF practitioners with deep understanding of current inspection standards at each major regulatory agency. Our TMF professionals have conducted hundreds of TMF reviews and know what to look for, applying proven methods such as logic checks and cross-checks to validate not only the quality of individual documents, but whether those documents all relate to each other properly. The TMF Quality Review gives you the insight and data you need to improve TMF health and inspection-readiness. You can easily pinpoint key patterns and problem areas, and further filter the detailed review data to gain actionable insight for remediation. Phlexglobal is also able to take a functional service approach to the Quality Review, focusing just on those areas where you don’t have internal expertise, or where you have already identified areas requiring deeper evaluation. As a further option, our TMF experts can walk you through the review findings, offering practical suggestions based on years of experience conducting clinical trials and managing Trial Master Files. 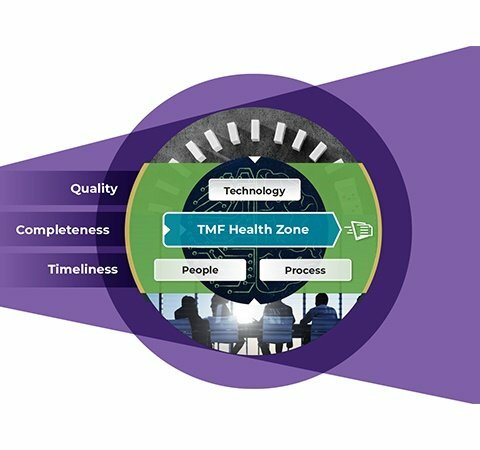 We help you look beyond the narrow scope of the TMF itself to identify and help correct broader issues that may be impacting overall TMF quality.